Go straight to our Cellar-Sorter. You want a wine cellar. We want to help you find one — based on the features that you value the most. Welcome to Compare Wine Sealers, where you can quickly (very quickly!) filter and narrow your selections to a handful of wine cellars. Our simple Cellar-Sorter tool makes it easy. We love our wine cellars. Why? Because they protect and extend the life of our wine. Wine needs to be protected – from sunlight, heat, humidity, and movement. A wine cellar does all of this. In addition, it can provide an aesthetically pleasing addition to our decor. But how do you find the right wine cellar? One that provides the features you want. For example, do you want two zones: one for white wine and one for red wine? Do you want to store a dozen bottles or hundreds? Do you want something for the counter top or a showpiece for your home? These are great questions, and our simple Cellar-Sorter tool can help you compare wine cellars, filtering for the features you want most. There are many features to consider when looking for a wine cellar. You can get a detailed explanation of the 16 different features that we review for every wine cellar on the Features page. 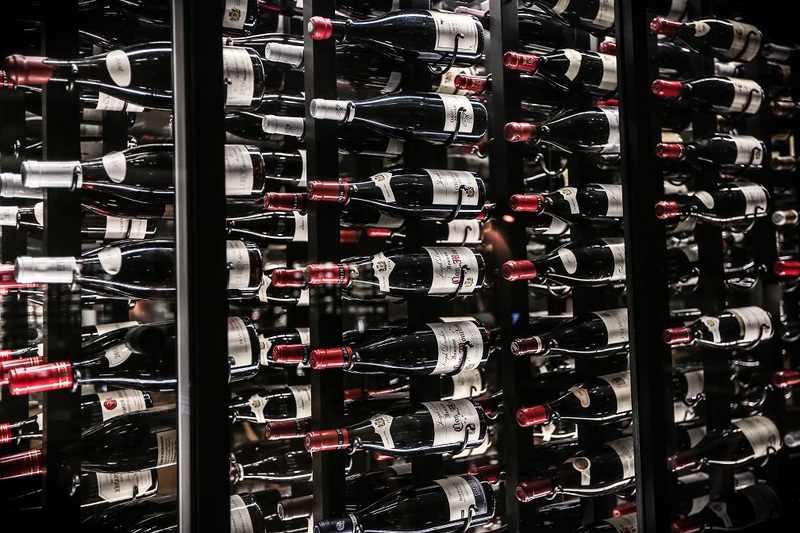 The three most common features people look for first are the number of bottles that can be stored, the number and temperature zones, and at what location the wine cellar will be used. Once these are decided upon, then there is a whole host of other details that will allow you to select one machine over another. The number of bottles that can be stored range from 1 to over 450 (if you need to store more, then you probably need a wine cellar closet or room). Different wine types are best stored at different temperatures. See our Wine Temperature page for a guide to temperatures ranges for storing your wine. Most machines come with either a single or a dual zone. A single zone means all of your wine will be stored at one temperature. If you only drink one type of wine, e.g., Cabernet, Chardonnay, Merlot, Pinot, etc., then a single zone is perfect. Dual zones, however, have two different cooling mechanisms, physically separated from each other in one wine case. This allows you to store two different types of wine usually white wines at a colder temperature and red wines at another temperature. However, they can also be used to store two wines of the same “color” at two different temperatures, e.g., Champagne and Sauvignon Blanc or Tawney Port and Grenache. In addition, some wine cellars have even more zones. A quad zone is a popular example. In most cases, when the number of zones is more than two, it is because the manufacturer combined two dual zone wine cellars and in a single frame. Thus two dual zones become a quad zone. In addition, some manufacturers take advantage of the fact that cold air sinks. In a larger wine cellar, there may be a significant range of temperatures from the top of the machine (warmer) to the bottom (colder). In between, the temperature will slowly get colder from the top to the bottom. This temperature property can be used to create several “zones” in one cabinet that are not physically separated from each other. The wine cellar cascades the cold air from the top of the cabinet to the bottom, or from one “zone” to the next. These are referred to as “multi-temperature” zone cellars. Where you place the wine cellar is another important consideration. On the counter, under the counter, in the living room, in the basement, etc. all might have special considerations. If placing your wine cellar on a counter in the kitchen, then the height to fit under the cabinets is probably important. If going under a counter, then not only size but how it is vented needs to be considered. If displaying it in the living room, dining room, etc. then you may want a wood wine cellar, a specific color, or some other style feature that fits your décor. We are firm believers in comparing products before you buy. To find the best wine cellar based on the features you value the most, go to the Wine Cellars page and simply select the features you want. This will quickly filter all of the models to allow you to compare wine cellars easily. Then click any of the models to learn more. On each product page, you will find more information and details about each wine cellar. If you already know which machine you are looking for, you can go directly to that machine’s product page by selecting it below. So go ahead, find your wine cellar.